What if we tell you that sweets are healthy? Try Ghasitaram Anjeer Barfi and extract the benefits of fig while bingeing on a dessert. Not only does Anjeer assist in weight management and respiratory ailments, it's good for heart too. When packed with other nuts, they taste delicious. Ghasitaram Halwai is a name that can be vouched for excellent taste and quality of sweets and namkeens. 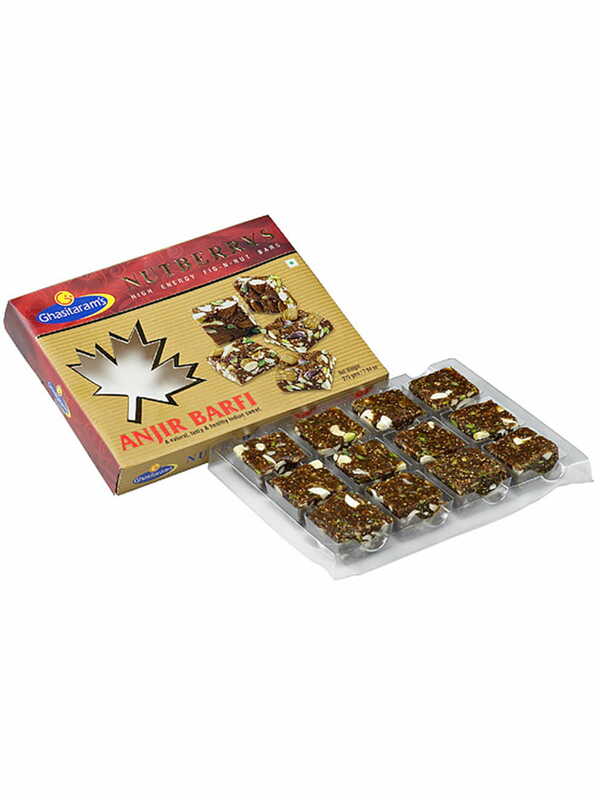 Buy Anjeer Barfi online at FoodFeasta.com where the entire hassle of online shopping is ours to take care of.